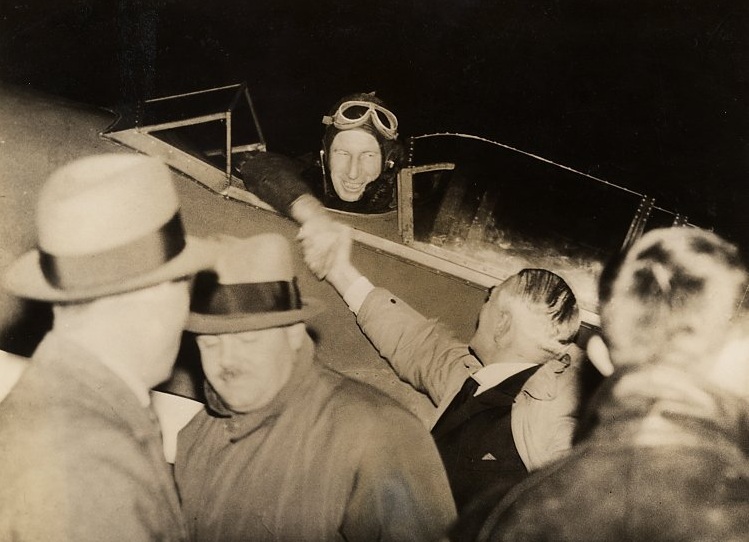 On 8 November 1935: Sir Charles Edward Kingsford Smith, MC, AFC, and co-pilot John Thompson Pethybridge disappeared while flying Lady Southern Cross, a Lockheed Altair 8D Special, across the Andaman Sea from Allahabad, Indian Empire, to Singapore, Straits Settlements, a distance of approximately 2,200 miles (3,540 kilometers). The aviators were attempting to break a speed record for flight from England to Australia. On 1 May 1937, about eighteen months after the disappearance, two Burmese fisherman found a landing gear assembly floating in the Andaman Sea near Kokunye Kyun (Aye Island), off the west coast of Burma. Lockheed was able to confirm that it was from Lady Southern Cross. The unit is the collection of the Powerhouse Museum, Sydney, Australia. In 2009, searchers claimed to have located the wreck of the airplane near the island, but this has not been confirmed. Kingsford Smith was a former Royal Air Force pilot and flight instructor. He had been a barnstormer, airline pilot, and gained world-wide fame for his trans-Pacific flights. From 31 May to 9 June 1928 he and Charles Ulm, Harry Lyon and James Warner had flown Southern Cross, a Fokker F.VIIB/3m, from Oakland, California to Brisbane, with stops at Hawaii and Fiji. 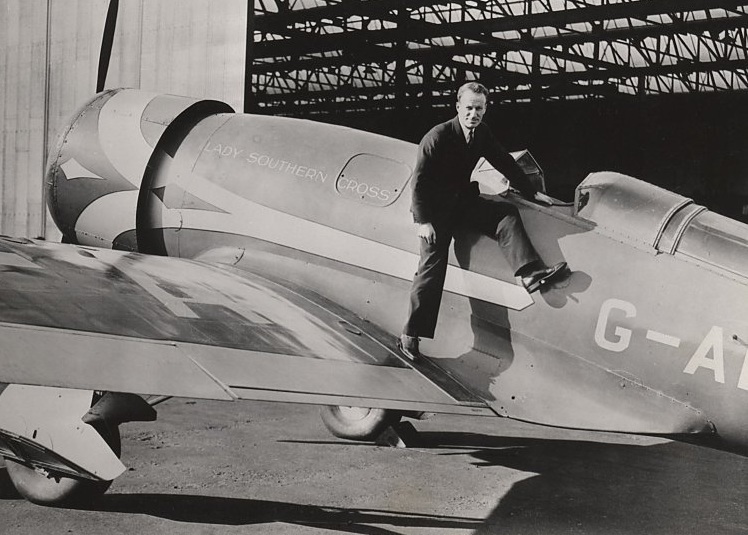 In 1934, with Lady Southern Cross, he and Patrick Gordon Taylor flew from Australia to Hawaii and on to Oakland, California, arriving 4 November. After the transpacific flight, Lady Southern Cross spent the next 11 months at Lockheed being repaired and overhauled. Kingsford Smith then flew it across the United States and had it transported to England aboard a ship. 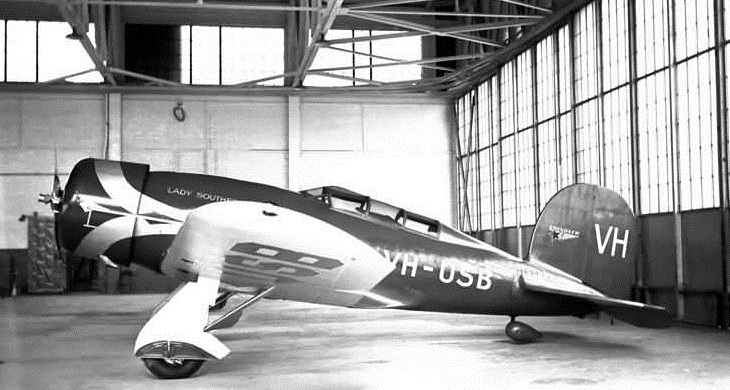 Lady Southern Cross was a Lockheed Altair 8D Special, a single-engine monoplane with the fuselage, wings and tail surfaces built of spruce. The Altair had been modified from a 1930 Lockheed Sirius 8A Special, NR118W, c/n 152, which was an airplane with fixed landing gear. 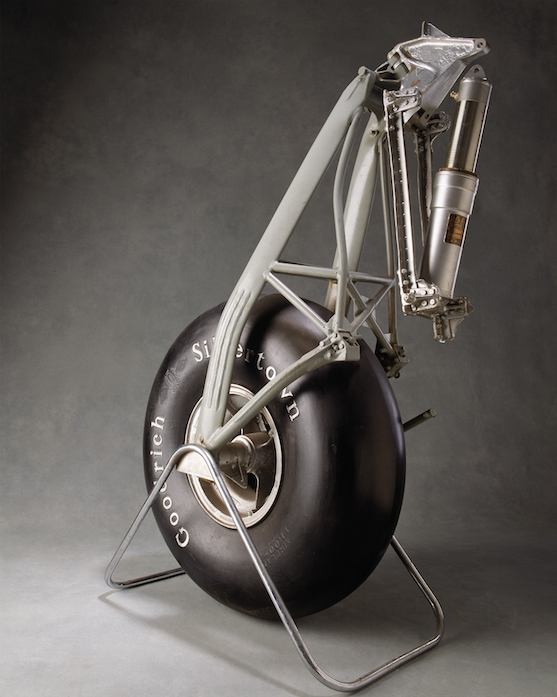 Lockheed designed a new wing which included retractable landing gear, operated by a hand crank from the cockpit. The Sirius and Altair were single-place utility transports. Kingsford Smith’s Altair was further modified with two cockpits in tandem. Lady Southern Cross was painted Consolidated Blue (a dark blue color) with silver accents. Lady Southern Cross, designated a Lockheed Altair 8D Special, had a length of 27 feet, 10 inches (8.484 meters) with a wingspan of 42 feet, 9¼ inches (13.037 meters) and height of 9 feet, 3 inches (2.819 meters). The modified airplane had an empty weight of 3,675 pounds (1,667 kilograms) and a maximum gross weight of 6,700 pounds (3,039 kilograms). 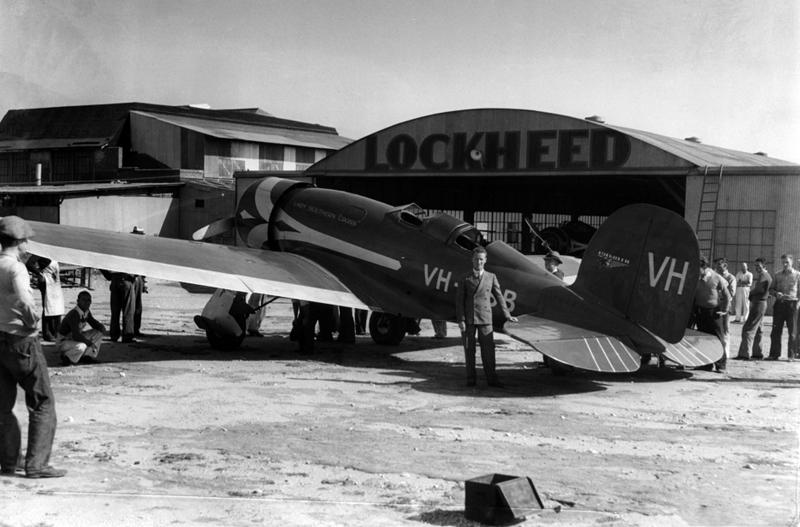 The airplane’s standard Pratt & Whitney Wasp C1 engine was replaced at Kingsford Smith’s request with a more-powerful Pratt & Whitney Wasp SE, serial number 5222. The Wasp SE was an air-cooled, supercharged, 1,343.804-cubic-inch-displacement (22.021 liter) single-row 9-cylinder radial engine with a compression ratio of 6:1. It was rated at 500 horsepower at 2,200 r.p.m., at an altitude of 11,000 feet (3,353 meters). The SE was a direct-drive, right-hand tractor engine which turned a two-bladed Hamilton Standard controllable-pitch metal propeller with a diameter of 9 feet, 0 inches (2.743 meters). The Wasp SE was 3 feet, 6.59 inches (1.082 meters) long, 4 feet, 3.44 inches (1.307 meters) in diameter and weighed 750 pounds (340.2 kilograms). An Altair 8D had a cruising speed of 175 miles per hour (282 kilometers per hour) and a maximum speed of 207 miles per hour (333 kilometers per hour) at 7,000 feet (2,134 meters). 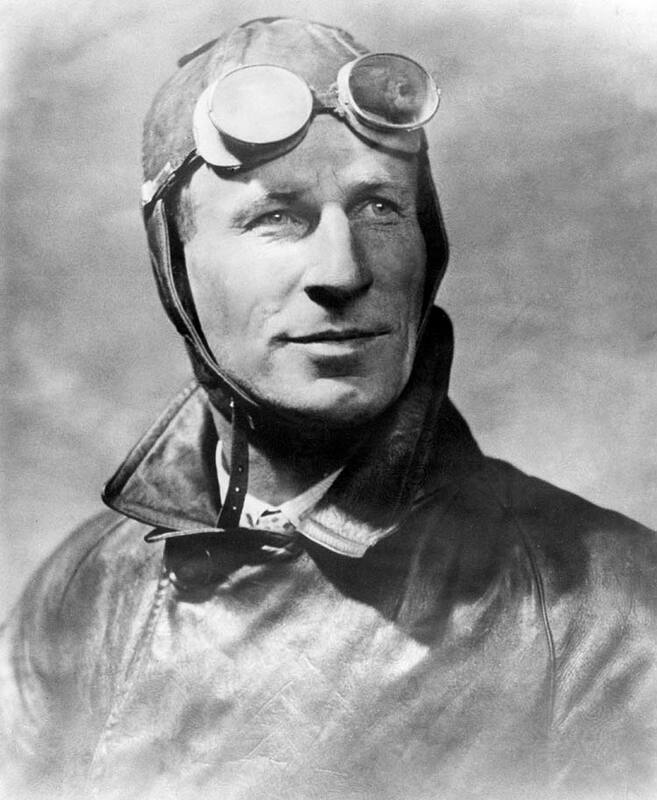 Contemporary news reports stated that Kingsford Smith had reached speeds of 230 miles per hour (370 kilometers per hour) while testing VH-USB.